It’s easy to sit back and think about better days ahead as the top dog of your own business: being your own boss, taking charge of your own schedule, spending more time doing things you enjoy, with the people you care about. You consider it the perfect way to reach your personal, professional and financial goals, and this is especially true if you find your current work/life balance unsatisfying. The hard part is figuring out how to get from Point A-your current job, to Point B-business owner extraordinaire. 1. Business Plan: Do I need one? How do I write one? Does it have to be in a particular format? What exactly do I include? 2. Financing: How much money do I need up front? What about operating capital? Which option should I choose for financing? Banks? Investors? Credit? How do I figure it all out? 3. Operations Basics: What does day to day look like? Who will manage service calls or customer service? What laws and tax procedures do I need to know about? How do I operate payroll? Am I confident with a Profit & Loss statement? How much inventory will I need? What are the best practices for hiring and recruiting? Do I need to provide benefits? How will I manage Cash Flow? 4. Real Estate/Assets: Do I need a storefront? Vehicles? Equipment? Office supplies? Computers, tablets or software? Product inventory? 5. Marketing: Should I advertise online and offline? Local, regional or national? What about branding? Do I need signage? Uniforms? Social media? How do I create a marketing strategy? What’s a consumer profile and is it important? How much should I spend on marketing? 6. Demographics: Am I located in the right market? How do I know if my type of business will do well here? 7. Tech and Software: Is there a way to automate my day to day operations? How do I find a system that works for my business? How much will it cost? Will I be able to learn how to operate it? Will there be tech help? 8. Support Network: Is my family/support network behind me? Are they ready for my time and energy to be focused on the business? Can we afford it? How will I pay myself? Do I have a mentor or experts who I can turn to for advice? 9. Stamina and Fortitude: Do I have what it takes for this, mentally and physically? How will I handle obstacles? 10. Exit Plan: How will I get out if things go wrong? What are the risks? That’s a pretty big to-do list. If you are trying to create this dream company of yours while currently employed elsewhere, when will you have time to take care of it all? The good news is there is another option. What if you had a blueprint to guide you through each and every item on the above list, and a supportive network of experts to help you through it every step of the way? Consider buying a franchise. Now before you hit the “exit” button, you should know that franchising is a misunderstood industry. There are myths surrounding the concept, like the idea that it takes away any possibility to customize your business to your liking, or that it costs more, or that it takes too long to get into a territory you desire. Before buying into all the negative buzz, you might take a minute to explore just how beneficial purchasing a franchise can be when it comes to being your own boss, and reaching your personal, professional and financial goals. 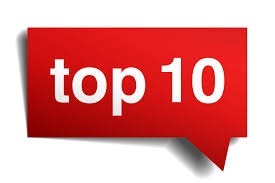 See just how excellently franchising can handle that Top 10 Things to Consider List, and in many cases, in as short of time as 90 days. That, my friend, is called a Fast Track.